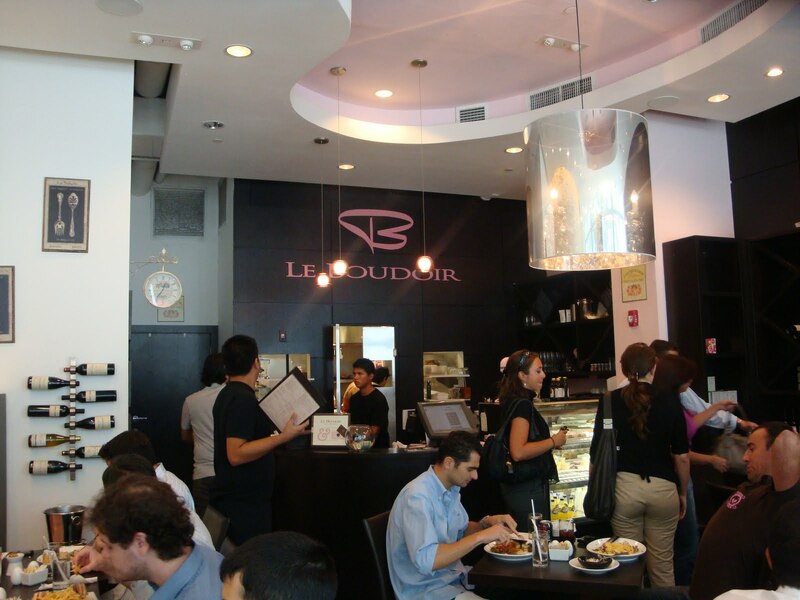 Nestled like a charm in a bracelet of downtown high rises, Le Boudoir is a boutique cafe located in the financial district of downtown Miami. Upon entering, the brown and pink decor enchants and inspires. 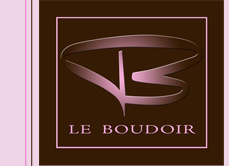 Booth seating in bubble gum pink color, tufted headboards in faux leather contrasting the espresso brown tables exude a chic Parisian lady's dressing room (hence the name Boudoir) in contemporary style. Absorbed in decor details and making mental notes for my next decorating venture, I almost forgot the reason for my visit--to have lunch. Owner and chef Vincent Benoliel has successfully blended fresh ingredients, clever concepts and a delightful ambiance to create a memorable affair. Le Boudoir is famous for its Tartines on "Pain Poilane". Translation: open -faced sandwiches on French sourdough bread. 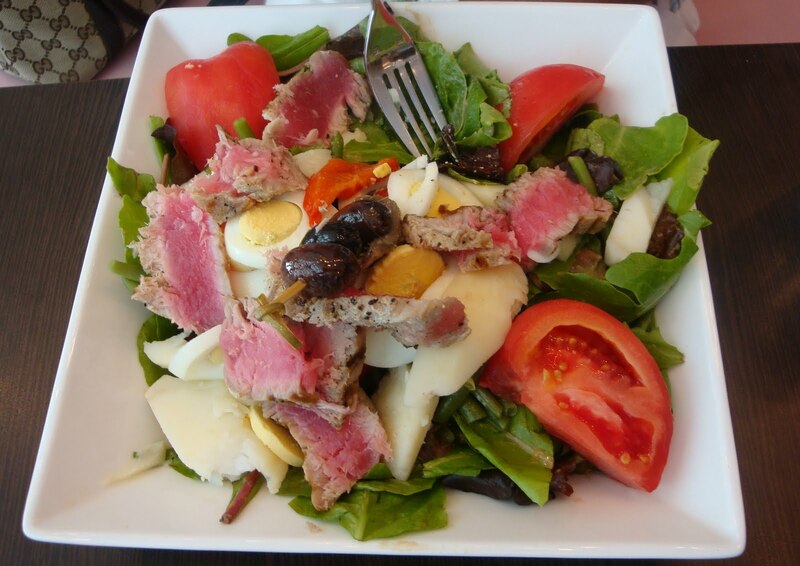 If the decadent bread is tipping the caloric scales, then rest assured the salads are an excellent alternative. Prepared daily, Le Boudoir follows the French countryside tradition of using simple and fresh ingredients to enhance the meal. Watching our girlish figures and with pending 4th of July food to implode our diets, both my friend and I ordered salads. 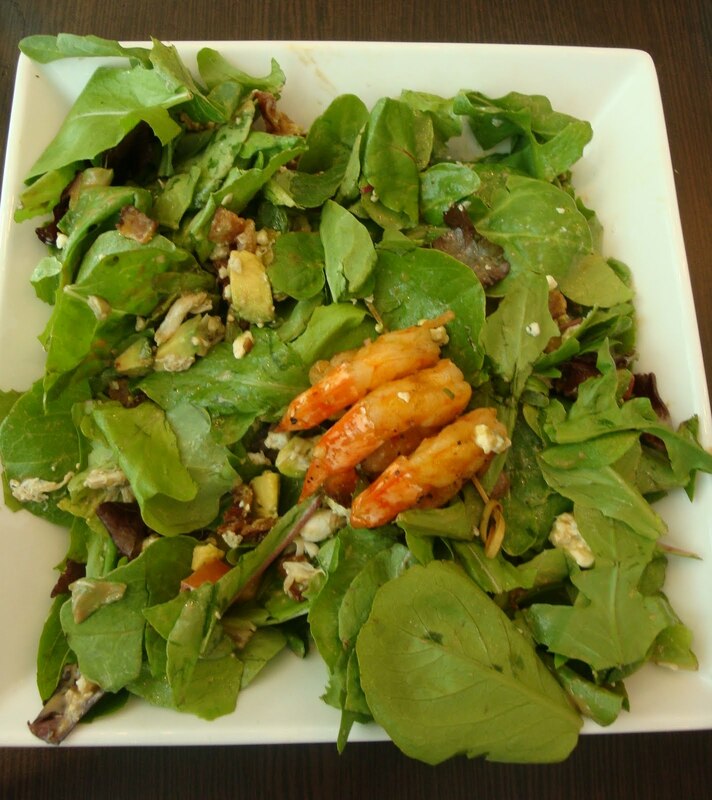 My selection was the B Cobb --a mix of mesclun lettuce, avocado, blue cheese, bacon, bits, shrimp, blue crab and mango. Absolutely delicious. The avocado and mango were a perfect Miami incorporation. Adrienne ordered the Salade Nicoise. Overall, her rating was average but she enjoyed the plentiful fresh tuna. Browsing through the breakfast menu with pictures of puffed croissants and white swirl mugs of dark coffee you could practically smell the aroma of bread and capuccino. But there's nothing like a French pastry dessert! 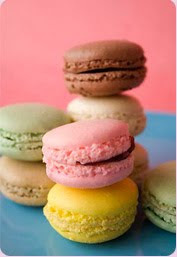 Try their mini macarons (not to be confused with macaroons). Baked to look like petite sandwiches in sherbert pastel colors, these sweet desserts are crunchy on the surface with a moist center. Originating in Italy, Queen Catherine de Medici introduced it in France in the 16th century where it transformed from a dry half biscuit to two domes of a sandwich with the added chewy center. A burst of sweetness in every bite, one is enough. Enjoy flavors of Pistachio, Almond, Orange Ganache, Coffee and many more. Le Boudoir is only open for breakfast and lunch. 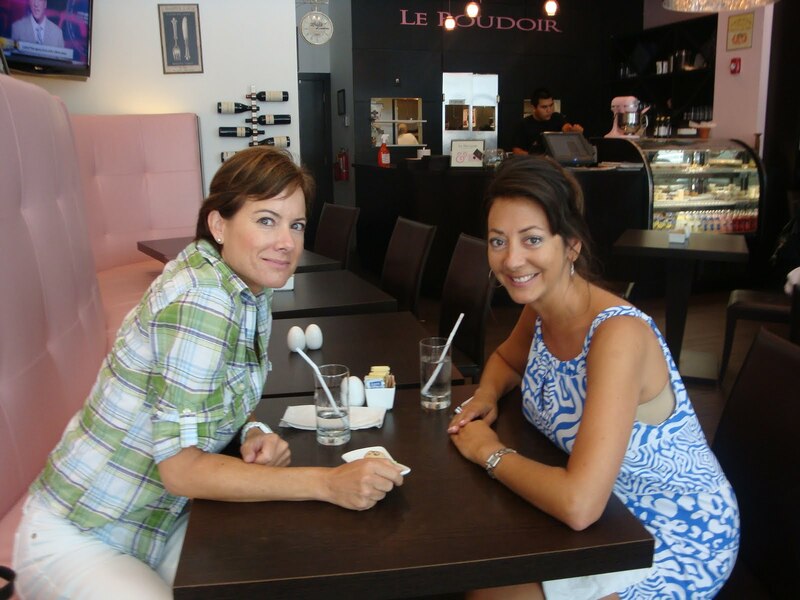 Arrive early for the lunch hour because seating is limited!